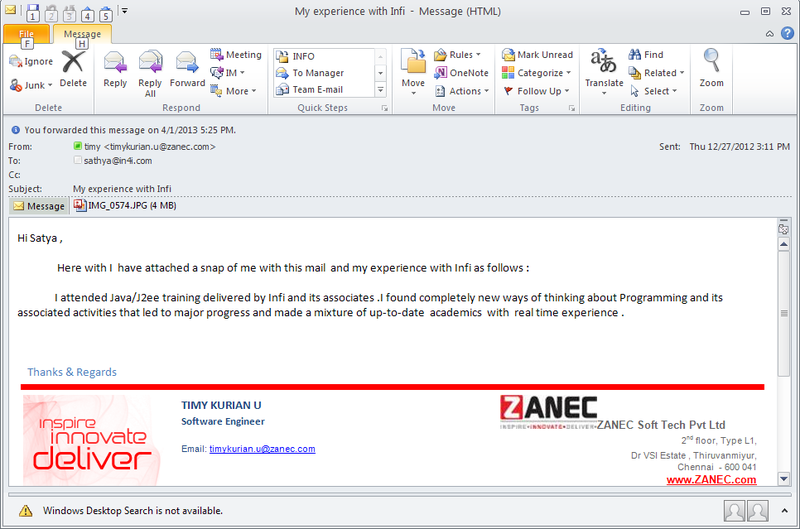 Timy Kurian was identified for ZANEC Application Developers program in health care domain on LifeRay and OpenMRS in 2010. 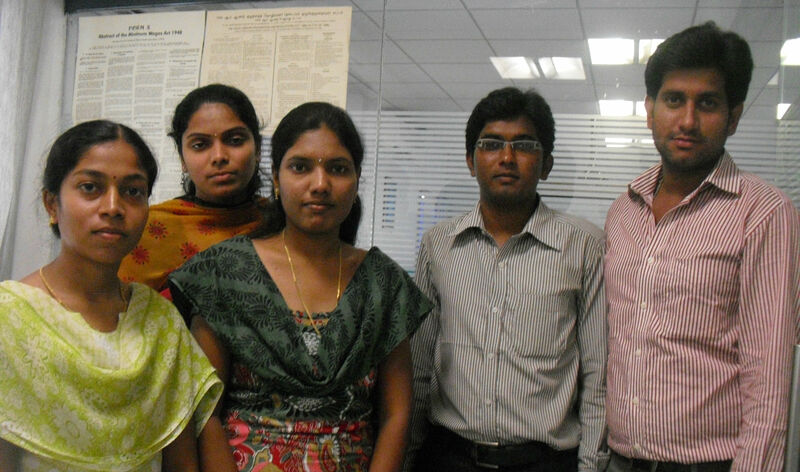 Timy came from NTTF along with few more bright freshers to join InFI program targeting ZANEC employment opportunity. On successful completion of professionalization program to be a Health Care Web Application developer Timy employed and successfully completed numerous projects both onsite and offshore. 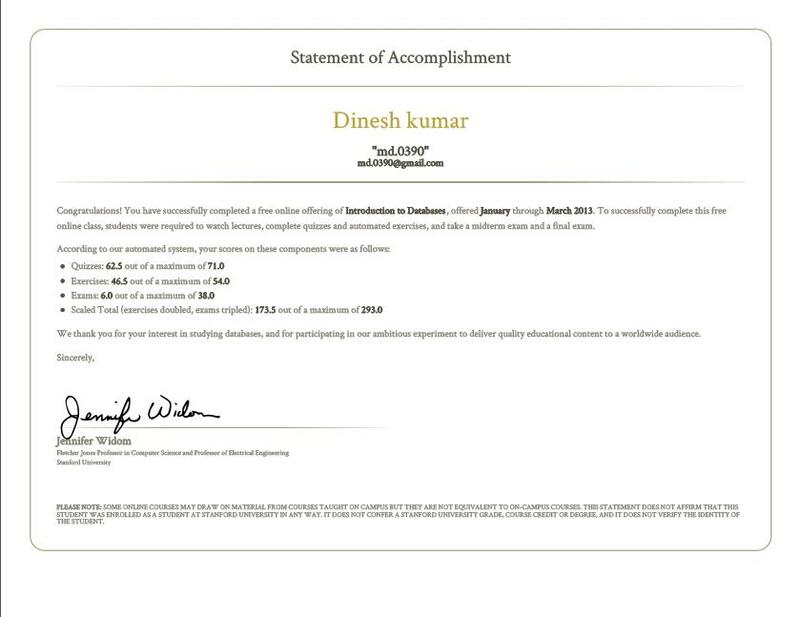 Timmy can be reached Timmy.k@gmail.com for guidance and help to be a successful developer in IT industry. 100% Career Break. Congratulations !!! Ramanamma “Rama”, a dotnet application developer is part of our MS technology team that InFI has developed for ZANEC in 2010. 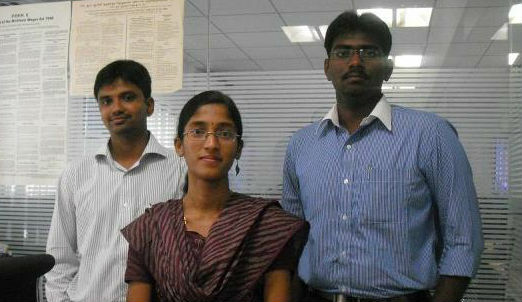 Rama joined a 15 member team, which was mentored by Microsoft dotnet experts for five months. Her interest in Microsoft platform application development along with the mentors’ expertise resulted into the making of a great professional. She has worked hard on various projects and is the prime contributor in successful deliveries to ZANEC’s customers for the past two years. 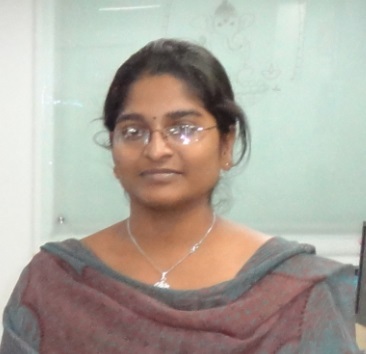 InFI congratulates Rama for successful role as Software Engineer at ZANEC and joining Infosys in Bangalore a month back. She is a great team player and helps the team members to contribute to the project’s quality as well as making sure they stayed on the project’s deadlines. Rama’s expertise encompasses ASP.Net, WCF, Java Script apart from C# and Java. Her goal is to be a Microsoft technology expert and architect highly complex software systems. Ramanamma can be reached at ramaidamakanti@gmail.com for guidance and help to be a successful developer in Microsoft Web technologies.